Hey, there’s a lot to talk about today! Before we jump into things, I wanted to give an official “hello” to those of you I have not met! 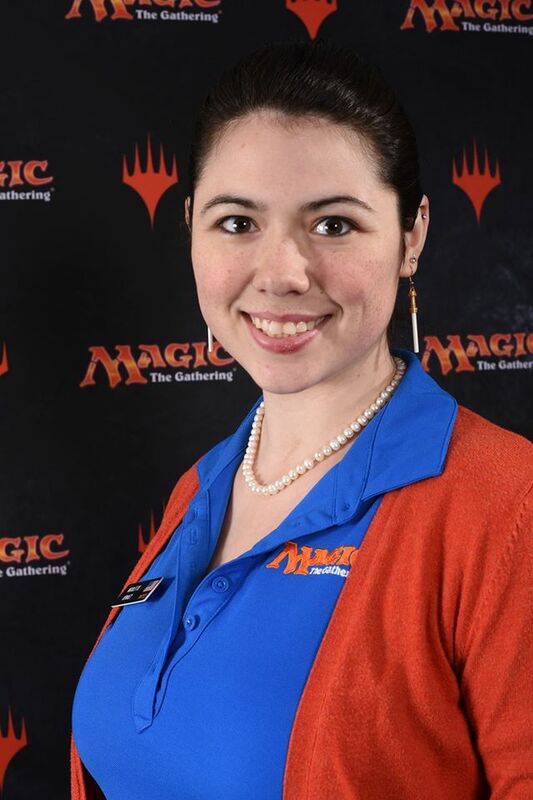 My name is Nicolette Apraez, I am a Level 3 in Georgia, and as of January 1st, I am the new Regional Coordinator of the USA-Southeast Region. I like sushi, baking, theatre, board games, and playing fast decks in hopes of killing my opponent before they can out-skill me. Now, on the the important stuff! I’ll give each topic it’s own section (in case you are SO EXCITED for maintenance you just can’t wait!) but I highly recommend you read it all because there’s a ton of information packed into this one little post. Today we’ll be discussing RC Office Hours, Captain Application and duties, our 2018 plan for conferences, and level maintenance. I wanted to set aside some time to hold Open Office hours. This is a great time if you have a quick question, comment, feedback, or anything else you want to discuss. I’ll be logged into our region’s discord chat from 9pm-11pm eastern every other Tuesday Night, starting Tuesday January 23rd. In case you want to have a more private chat, or think the conversation will last more than 15-20 minutes, I’ll also be available 5pm-9pm on most Mondays nights, and 12pm-5pm most Wednesdays afternoon. If you want to schedule a time to have a private chat, send me an email at nicolettemapraez@gmail.com a few days in advance, to make sure I’m not full or like, somewhere crazy like in Spain (Wednesday, 1/31). These are by NO MEANS the only times I’m available to chat. Please feel free to shoot me a message on FB, Slack, or over email at any point. Many of us know how easy it is to let all of our free time fill up. This will ideally allow me to ensure that as my time fills up with more and more responsibilities, I’m able to make sure I’ve set time aside to be available for the region. If those times do not work for you, please feel free to reach out so that we can set up a time that does! As we’ve mentioned and hinted at in the past, we will be moving to a Captains system. This will hopefully increase regional involvement, promote communication between areas, and help prevent judge burnout. At the moment, these roles will be assigned for the 2018 year. While I believe consistency is extremely important in these leadership roles, I also understand that life happens. If at any point a judge needs to step back from their role as a Captain, we will work with him or her to find a good replacement until the next application window. Throughout the year I’d love to hear from you all how you believe this Captain System worked, and if there are any ways we can work to improve it moving forward. If you are interested in one or more of the roles below, you can apply using the google form. The applications for Captains will be open until 11:59pm eastern time on Friday, January 26th, and selections will be made an announced by February 1st. Area Captain (8) – Area Captains are meant to be “point people” in their area – they help judge candidates connect with mentors, stores connect with judges, give feedback about up-and-coming judges, and know the judges and stores in their local areas well. They are by NO means the only ones allowed to run conferences, test judges, or work with stores! However, it helps to have a single point of contact who is familiar with the area and can help connect people to the best person for each particular job. For this position, I am looking for people who are seen as leaders in the community, and have a strong interest in helping to grow and develop their local area. For some areas, this might mean giving a title to the person who’s been that leader for longer than anyone can remember. For others, this might mean finding a person to step up to the challenge. Currently the 8 Areas are: Mississippi, Alabama, North Georgia/Atlanta Area, South/East Georgia, South Carolina, North Florida/Panhandle, Central Florida, and South Florida/Keys. As our region grows and matures, we might find that these area boundaries need to shift, split, or change to accommodate those growth patterns. Conference Captain (1) – Our region’s Conference Captain will be the Area Captains’ point of contact for mini-conferences, mock tournaments, or even helping support someone who might be hosting a large Regional Conference for the first time. I will work with them to coordinate foil allocations, number of conferences, what areas have had events recently, and all else conference. This person is NOT responsible for organizing every mini-conference, but is instead a point of contact to ensure someone who wants to organize a conference doesn’t have to do it alone and from scratch. This is also a great way to make sure South Carolina and South/East Georgia don’t decide to have conferences on the same day. I am looking for someone who either has experience organizing conferences, or has a strong desire to learn and master the skill. Education Captain (1) – Our Region’s Education Captain will help to organize, consolidate, and share current education materials and efforts between Area Captains. This might be someone who really wants to teach multiple online classes region-wide. HOWEVER, it’s much more likely that this means helping a judge who wants to run a L0-L1 class get a hold of past examples for presentations, working to help other judges find a good channel for an online class, or doing call-outs to find class presenters. This might even mean letting the judge in South Florida and the judge in Central Florida who both want to hold a state wide online classes know that the other exists so they can work together! For this role, I’d love to see someone with a passion for innovation, who wants to help our region take the next steps towards ensuring that judges can get mentorship and education experience regardless of locale. As you may have noticed, conferences and mini-conferences are becoming more and more popular! With that, it’s important to organize and allocate our resources to ensure that each area has a chance to get together and pool knowledge. Below you’ll find a tentative plan for 2018 conference. This will be a large, regionwide conference with the expectation that judges from all over the Southeast will attend. The Regional Conference will likely have multiple presentation tracks in order to allow each attendee to tailor their experience to meet their needs. Local Conferences will be aimed at developing skills of judges in specific area. As such, they will be more tailored to the needs of each individual area, and although those from outside the area or region might attend, preference should be given to local judges. Although each area is limited to one foil sponsored mini-con per year, that does not mean that an area cannot host multiple other conferences throughout the year! The Tentative Schedule for 2018 Conferences in the Southeast are below: If you are interested in hosting a conference for your area, or perhaps this year’s Regional Conference, let me know! February 3rd – Central Florida and South Florida Mini-con in Hollywood, FL. Applications are Closed. April 6th – Tentative Mississippi Mini-con in Starksville, MS. Applications have not opened yet. May Mini-con Slot – THIS COULD BE YOUR AREA’S MINI-CON! Saved the best for last, right?! So? What is maintenance, and why do we do it? With each level comes new responsibilities and activity requirements. Level maintenance is a yearly check-in to ensure that you are still active as a judge, keeping up to date on policy, and meeting your specific’s level minimum on activity. Many judges leave the program as work, school, or other aspects of life get in the way. 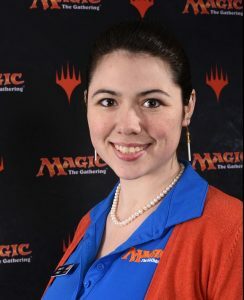 This is fine, but if someone tries to find a local Level 2 to use as a mentor or for a PPTQ, and that person stopped judging 3 years ago, at best they might start giving out Drawing Extra Cards Game Losses, or worse, not get back to that L0 who really wanted to become a judge! Additionally, in order to determine appropriate Regional Size (the Midwest Region, for example, was split in thirds once it got too big), Area Captain Boundaries, Foil Allocations, and anything else that needs an accurate head count of the region we need to know who is still judging and who isn’t. To do this, most regions chose to create a Google Form that judges fill out to prove that they have met their certification’s minimal activity level. Our region was a little behind on maintenance, so I’ve set up a plan for us to catch up without forcing a poorly thrown-together GoogleForm at everyone and rushing them to complete it ASAP. This month, we are doing “Spot Maintenance” this means that as long as you’ve been entered into WER or WLTR as a judge in 2017, this likely won’t affect you. Those people whose DCI on JudgeApps were NOT entered into an event in the last year have been emailed with the options to correct miss-information (likely an incorrect DCI), Step Down, or actively ask to remain a judge. So far, I’ve fixed a few DCIs, had a few people ask to step down, and had a few people ask to remain active. Those who asked to remain active will have until our June Full Maintenance to get up-to-date on any events, reviews, or exams (fingers crossed) needed to complete the maintenance requirements for their respective level, Listed HERE. In order to make sure we have an accurate count for any end of the year conference or events, and to avoid the already PACKED holiday season, yearly maintenance will be moved to June each year. More information, including deadlines for completion, will be available at the start of next Quarter. If you have any questions about maintenance or what this means for you, feel free to reach out with questions. That’s all I’ve got for now! Your next Regional Update will be the first week of February, when we announce our Captains!